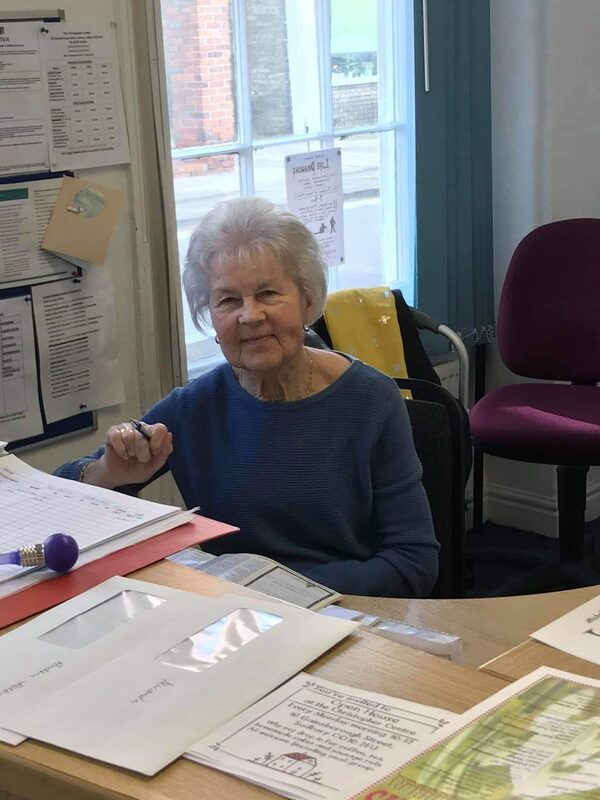 Our reception area is manned by volunteers who welcome visitors and users to the centre. Reliability is important but experience is not necessary as full training will be given, there is no computer work involved. If you would like more information or are interested in other ways of being involved with the Centre please Contact Us or pop in and meet us. 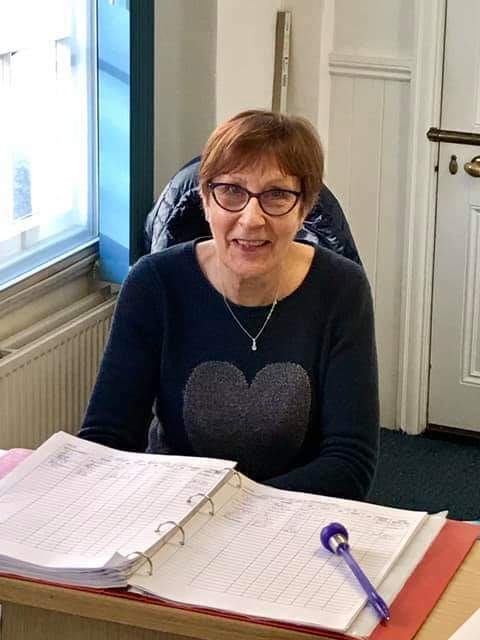 Jenny worked as a secretary for 26 years but retired 4 years ago after becoming disabled, she heard about the wonderful work the Christopher Centre provides and that we were looking for volunteers. Jenny loves the job and the staff – and we love her too. 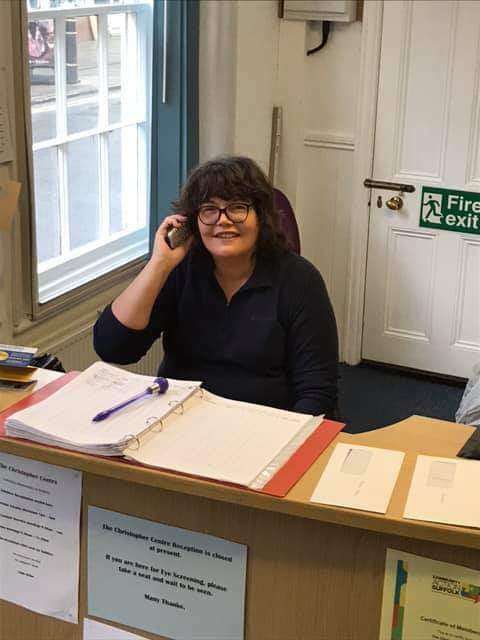 If you would like to volunteer pop in during our working hours or call our friendly Centre Manager Teresa Bishop 01787 313914.